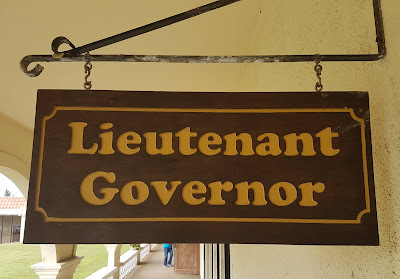 Perhaps because a new administration has just taken office on Guam, some people are wondering how to say "Lieutenant Governor" in Chamorro. or, perhaps spelled Sigundo Maga'låhe or Segundu/Sigundu Maga'låhe. "The Lieutenant Governor of Guam"
Segundo means "Second" and is borrowed from Spanish. Segundo, by the way, is also a proper name, meaning a first name for a male. That's because most people in the past were named after saints and there are actually more than one Saint Secundus, in Spanish, San Segundo. Maga'låhe is one way to say "Governor" and is an indigenous term, not borrowed from Spanish. It was the word for "chief" that was used at the time the Spaniards came to the Marianas. It comes from two words. The first is må'gas, meaning "great." The second is låhe, meaning "man." The S in må'gas is dropped when combining the two words. When combined, the word means "great man." Thus, "chief." 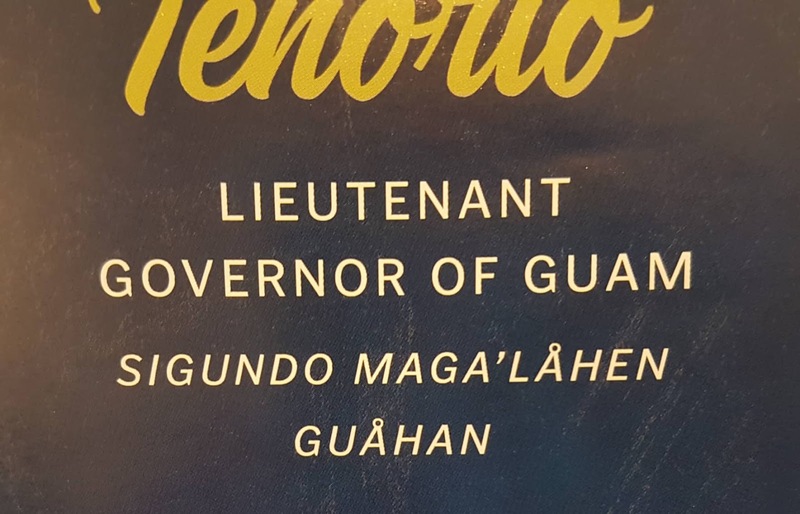 But, over time, the Chamorros, whose chiefs all disappeared when the island politics changed, applied the word maga'låhe to the islands' Governor. There are two issues, to my mind, created by the term "Segundo Maga'låhe." The first is that maga'låhe is used. Today we have a woman governor. She is now being called the maga'håga ("great daughter"). But the Lieutenant Governor is being called "the Second Great Man." Is there a first "Great Man?" Is his superior also a male? No. She is a håga. Daughter. So how can there be a Second Great Man if there is no First Great Man. And suppose we had (again) a woman Lieutenant Governor (as in the days of Lt Gov Madeleine Bordallo). If we called her the Segundo Maga'håga, does that mean there is a First Great Daughter? That her superior is also female? The second issue is that segundo is used. If the Lieutenant Governor is the Second Governor, do we now have two governors? A first and a second? Both these terms seem a bit problematic to me, although I do concede that they may not be problematic to anyone else in the universe but me. So what, then, would be an alternative? The above name for the position "Lieutenant Governor" is traditional and avoids the messiness of calling one a maga'låhe and another a maga'håga, or calling someone a "Second Governor," implying that we have two governors. The first word in this title is a word the older people remember, but not the younger. A teniente was the second-in-command, the vice or the assistant. Take another look at the English word we use for Lieutenant Governor. LIEU comes from French and means "place." TENANT also comes from French (and all the way back to Latin) and means "holder." Think of the person renting an apartment as the tenant. Our word maintenance comes from "holding" (tenance) by the "hand" (main, French from the Latin word for hand, manus, as in "manual"). A lieutenant is a "place holder." When the Governor is away, the Lieutenant Governor holds the place of the Governor. At the top of this document it says "City of Agaña." Then we see the name of Don (Sir) Mariano Luxan. He was the Governadorcillo ("little governor"), something like a town mayor, of Hagåtña. Don't worry about the X in Luxan (Lujan). For the Spanish in those days, X and J often had the same sound if it came before a vowel. Think of Don Quixote, or Oaxaca in Mexico (itself pronounced me - hi - co in Spanish). But the next official, the second-in-command to Don Mariano, is Don Pedro Pangilinan (same as Pangelinan), who is called the - TENIENTE! 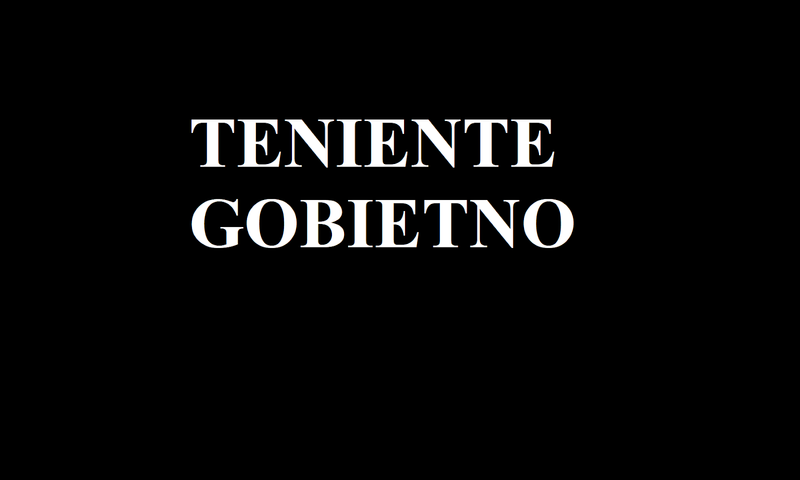 By using the word teniente, it is clear that we don't have a "second" Governor. We have only one Governor. But, we also have someone who holds the place of the Governor when she or he is absent. A Lieu-TENANT Govenor. Teniente. Next, by using the word Gobietno (Governor), there is no issue of gender. The older meaning of maga'låhe, anyway, did NOT mean the ruler of the whole island. Before the Spaniards came, maga'låhe meant "chief," and there were many in one village and hundreds all over the island and in the neighboring islands. When all the Chamorro maga'låhe disappeared, due to the Spanish conquest, our ancestors applied the title to the Spanish Governor, of all things! Believe me or not, in the 1970s or 1980s, I did see a campaign sign in Chamorro, asking voters to support someone for Gobietno and another person for Teniente Gobietno. But I didn't know I'd have a blog one day, so I didn't take a photo of the sign. This entry from Francisco Valenzuela's Chamorro Dictionary from the 1960s shows that teniente was a known word among our elders. And, as you can see, it means second-in-command.